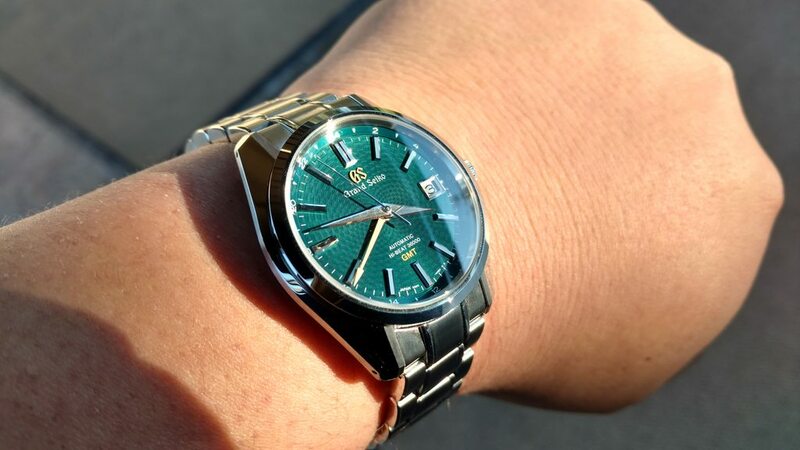 It's finally time to take a look at Grand Seiko's highly-anticipated Peacock SBGJ227! The SBGJ227 has combined a very special dial with their most sophisticated mechanical movement, so there's a lot to discuss here. Of course, the first thing we have to examine is this amazing dial, from which the Peacock derives its name. In GS' advertisements, it's shown as a very bright green, but in real life, it actually has a lot of blue to it, depending on the lighting. 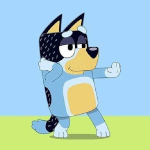 It seems that the brighter and more direct the light, the greener it gets, but there were many instances where I found the watch to actually appear blue. I don't think that's any accident. Google peacock feathers and you'll note that most green feathers also have blue areas. This texture, intriguingly, all but disappears in many angles and less direct lighting. The dial is at once textured, yet incredibly smooth and glossy. 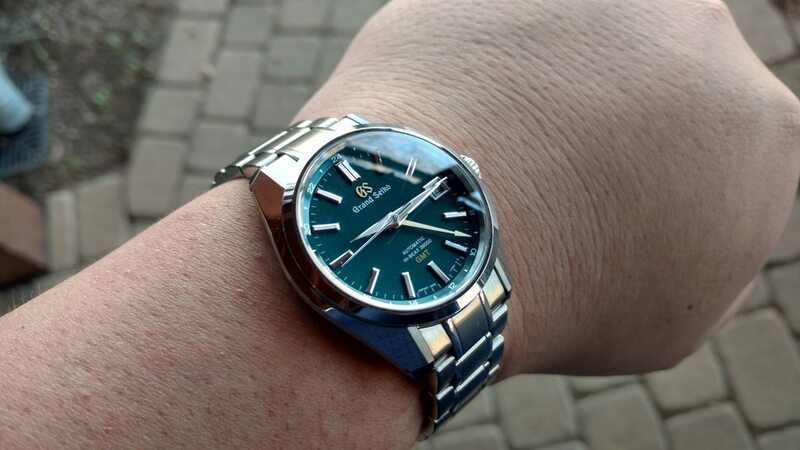 It's easily one of the most dynamic dials Grand Seiko has ever created, seemingly transforming both texture and color based on the environment it's placed in. It's this characteristic that makes GSes so difficult to photograph, because no single photograph can capture how they appear in real life. I would hesitate to describe the SBGJ227's dial as dark--it's somewhere in between--but Grand Seiko has opted to use their brushed dauphine hands to increase legibility nonetheless, creating a bright outline thanks to their polished angular edges. Thankfully, GS has avoided the use of lume here, which would unnecessarily obscure the beautiful finishing. It's also a GMT watch, hence the matte gold GMT hand, which points to a 24 hour chapter ring. Like all Grand Seiko GMTs, this is a "true GMT" complication, as the hour hand is independent. This angle is one of few that shows both its smooth, highly glossy character (note the reflection of the minutes hand) yet simultaneously shows its "peacock" texture. It also illustrates some of the bluer hues that you'll encounter while wearing the watch in the real world. Opinions on the "2.0" dials have been mixed, even from myself, but the SBGJ227 has a much more balanced approach with a gold GMT offsetting the gold GS above. The 40mm case is a bit more conventional than the dial, with GS' popular and time-tested alternating brushed and polished sections. 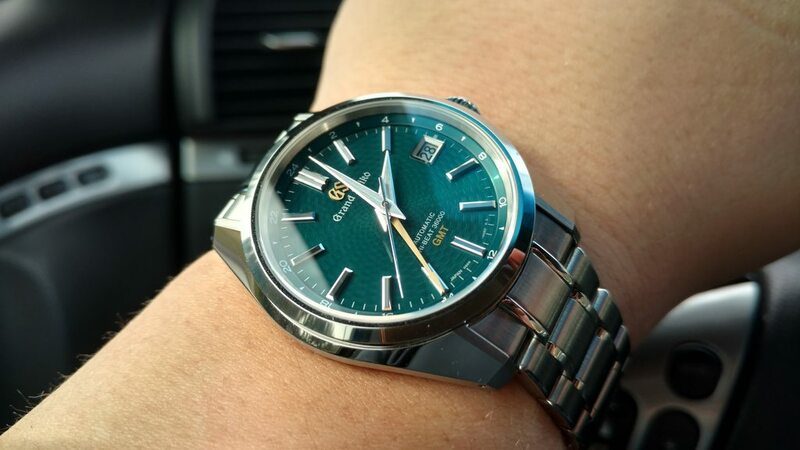 40mm is my personal favorite size for Grand Seikos (the GS I'm wearing as I type this is also 40mm). The crown screws down for your usual 100 meters of water resistance, should you decide you need to swim in your Grand Seiko for some reason. As per thickness, my measurement came in slightly under Grand Seiko's 14.4mm, which is, frankly, a little thicker than I'd like. That is the inevitable consequence of adding a complication, however, so you're trading a bit of thickness for the GMT functionality. I've always wanted to show people the subtle watermark on the crystal. Unfortunately, my photography has never been sufficient to show it. Thankfully, I was able to adequately capture it this time with the camera and, through the magic of Photoshop, make it visible for everyone. Now that you've seen where it is, see if you can spot it in the following non-enhanced images. 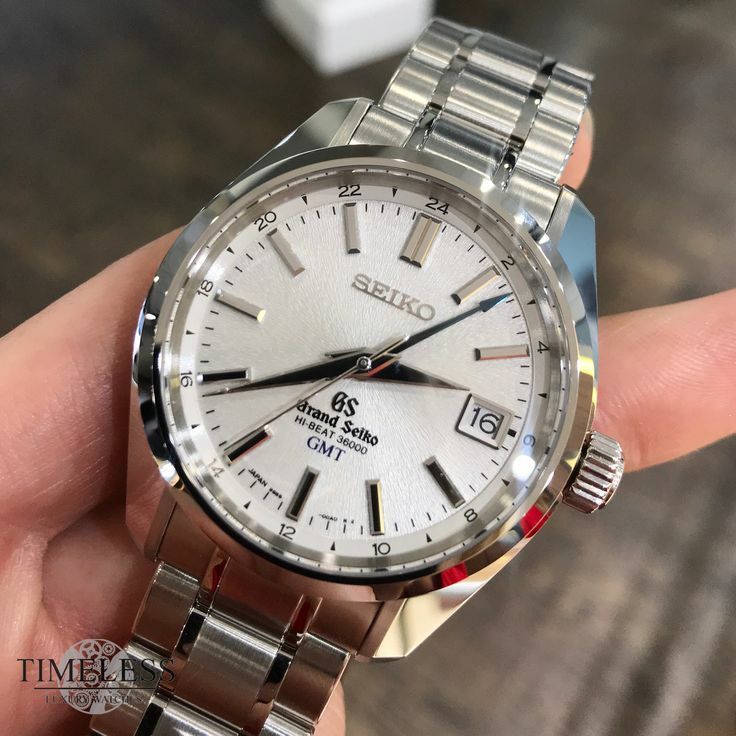 While the spring drive has become somewhat synonymous with Grand Seiko these days, traditionally speaking, it's the Hi-Beat that the brand is best known for. 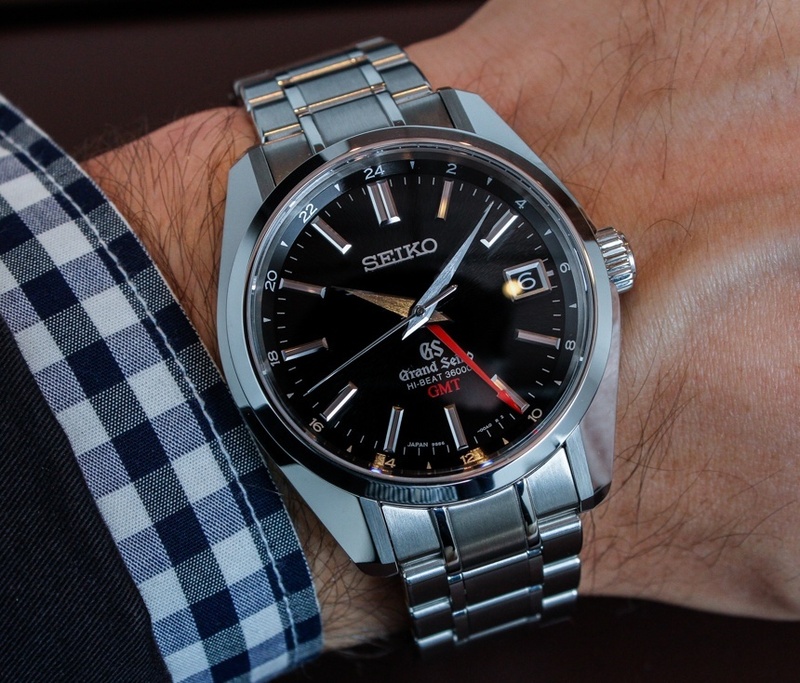 It was the pioneering Grand Seiko Hi-Beats of the late 1960s that allowed Seiko to compete successfully in chronometer trials and created the legend that is GS. 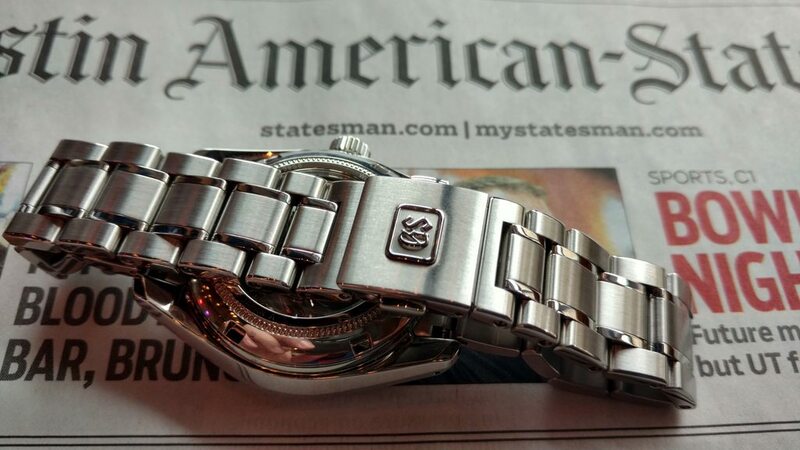 For traditionalists, then, the 9S85 and 9S86 are clearly the movements to choose. Here's the balance wheel, the other half of that equation. Also note the Spron 610 hairspring, made from a special cobalt-nickel alloy. It took five years to develop the hairspring used in the 9S85 and 9S86 alone. Spron 610 has twice the impact resistance and three times the magnetic resistance of earlier Spron alloys. Of course, beating 25% faster than almost all other modern watches isn't free, so the power reserve of the 9S86 is 55 hours, compared to 72 for the 9S66. Still, when you keep in mind that the vast majority of watches today have a 40 hour power reserve, and those aren't even high-frequency, 55 starts to sound pretty good. A movement cannot, or at least, should not, be reduced to mere engineering, but should also be examined aesthetically. The 9S86 is a very unique looking movement, thanks to its "Tokyo stripes," GS' take on Switzerland's Côtes de Genève. They're most easily differentiated from their Swiss competitors by their diagonal layout, but they also have an intriguing multichromatic quality to them when viewed in very bright light. 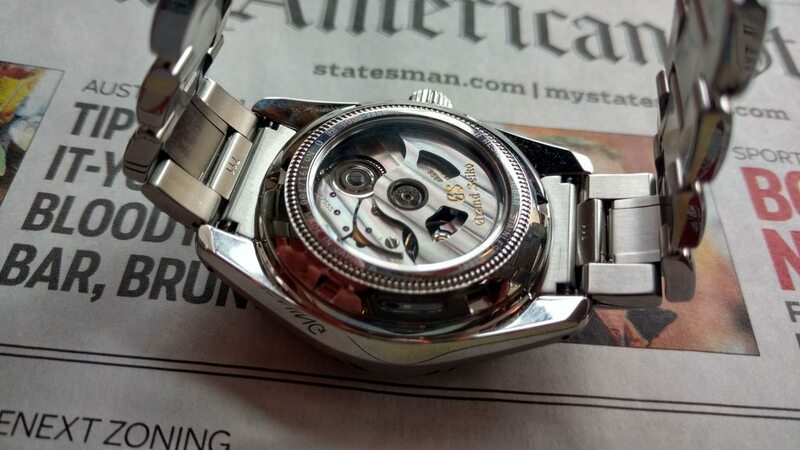 That finishing is probably best appreciated on the beautiful rotor, which has been somewhat skeletonized to less obscure the movement behind it. As pretty as it is, I'd absolutely love to see a manual-winding Hi-Beat (9S84, I suppose it would be called). 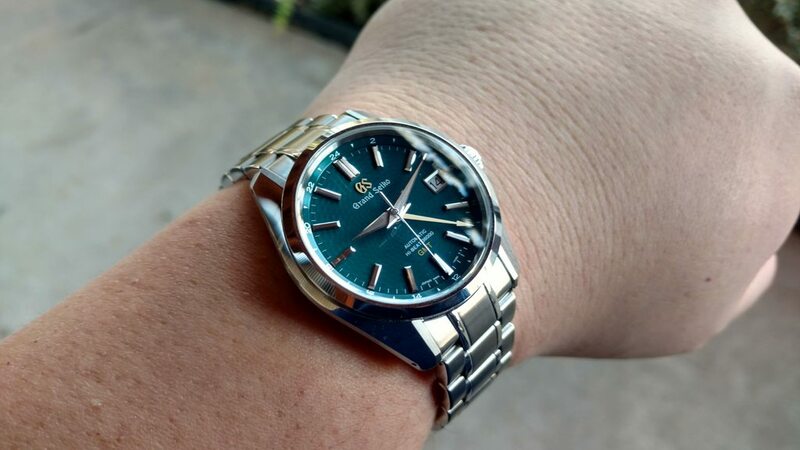 Still, the SBGJ227 is a sports watch with a screw down crown, so the automatic makes sense here. Unfortunately, there are a lot of great things about the 9S86 that I can't show you here, being hidden by other components, like the skeletonized pallet fork, or invisible to the naked eye, like the MEMS manufacturing technology, capable of achieving tolerances of one thousandth of a millimeter. You can't see them, but they're in there, making your watch better. So that's the SBGJ227, the aptly-named Peacock. Do you beat yourself up for missing out on the ultra-popular green-dialed SBGJ005? Well, you probably should, but you don't have to repeat that mistake. The SBGJ227 is, in my opinion, significantly better looking than the SBGJ005. I like both its texture and its color more. I like this. I'd like it more in some color besides green. In a lot of lighting it actually comes off as a beautiful shade of blue. Is that dial textured as well? In either case, it looks better - even if not as "special". I still don't like the GS only dials. The old seiko was better. Yes, it's a more subtle unique sunburst. It's hard to see on the SBGJ003 but you can kind of see it in this photo of the SBGJ001. It's very nice in real life. I like both those very much. A high beat GMT would be a great watch. 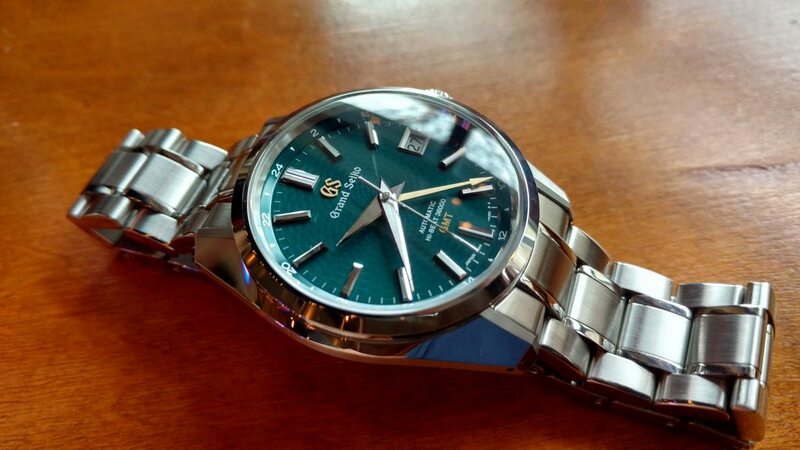 Too bad most GS watches are slightly too large and thick for my taste. 40mm by 14mm is a little too large and chunky for this kind of watch for me. is one I love in pictures. Probably also a bit too big for me. I picked mine up from timeless. I had reservations about the dial. And I know it sounds cliche, but pictures really are limited in capturing how the dial looks in real life. I love mine. Now if only timeless could hook a brother up with a half link. Looks nice on you. The lack of micro adjust is unforgivable though. There are several GSs I like, but this is just bland, and not so different to quite a few others with a different brand on the dial. It's easily one of my favorites too. poppydog wrote: There are several GSs I like, but this is just bland, and not so different to quite a few others with a different brand on the dial. This is perhaps the one complaint I didn't expect on the SBGJ227--I definitely don't find it bland or uninspired, although I could definitely see how people might not like it. Thats a nice watch and your reviews are magnificent. Thank you.